What is Nasal Airway Remodeling and Why Would I Need It? 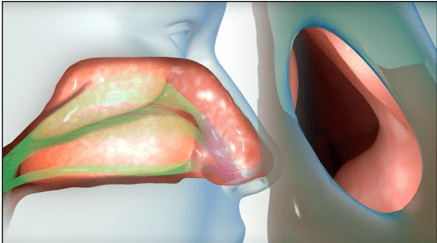 There are millions of people who suffer from nasal airway obstruction, a condition that limits airflow through the nose and makes breathing difficult whether you are awake, asleep, at rest or performing activities where you exert yourself. These include nasal dilators, nighttime breathing strips, and nasal sprays, some of which may not work, and none of which are a permanent solution. This is a radical treatment that is invasive and involves cutting and removing tissue, pain, and substantial recovery time. The results are not always consistent, and sometimes even unsuccessful at solving the problems of blockage caused by narrowing at the nasal valve. 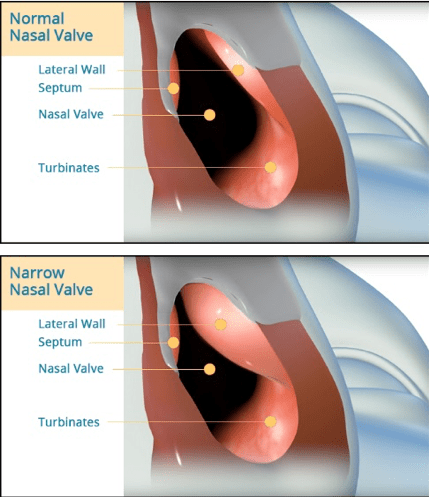 Because the nasal valve area is the site of more than two thirds of total nasal airflow resistance, changes to this valve area provide large improvements to airflow and nasal breathing. The VIVAER® procedure makes treatment easier and more acceptable for a very large group of people. There are no incisions – The procedure is performed by simply treating at the surface of the narrowed area. There is no exterior change – The gentle, proprietary technique shrinks tissue, including cartilage, to relieve nasal obstruction without affecting the exterior appearance of the nose. Clinical studies have shown significant improvements in nasal airflow, patient evaluation of nasal obstructions symptoms, and quality of life similar to results of more invasive surgical treatments.